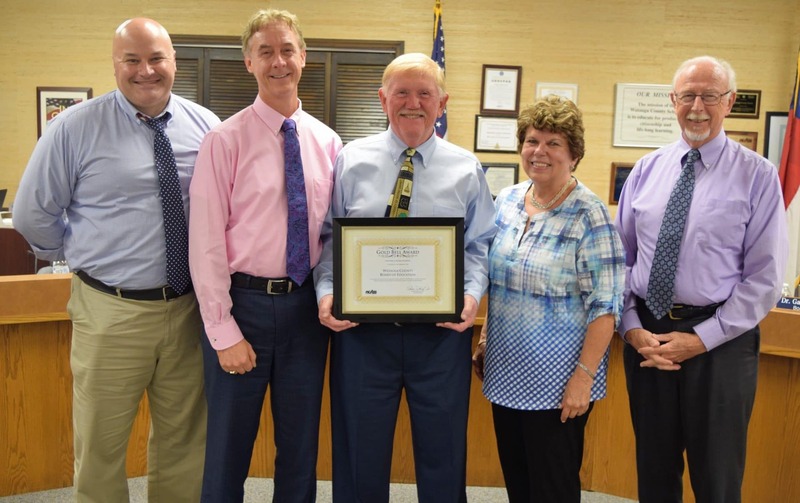 During the October meeting of the Watauga County School Board several recognitions took place. Photos provided by Watauga County Schools. Appalachian State University's 2018 Teaching Excellence and Achievement Fellows visited Monday's board meeting. 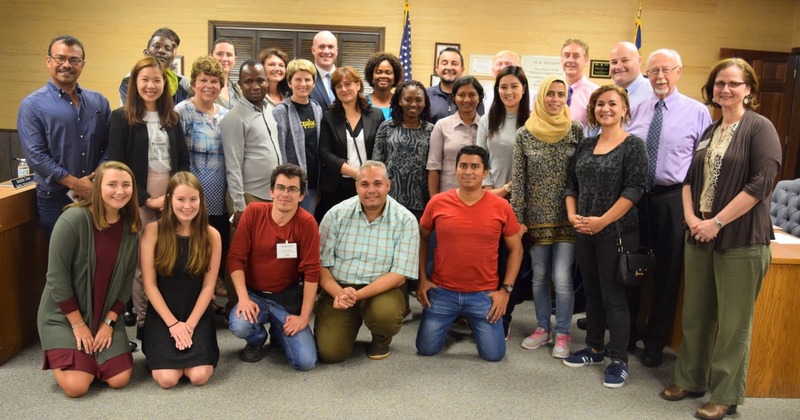 The group of TEA Fellows is made up of teachers from 19 different countries visiting the US to study the American system of education. The Watauga County Board of Education was recognized for exceeding required hours of school board training with the North Carolina School Board Association Gold Bell Award. Pictured are Jason Cornett, Dr. Jay Fenwick, Chairman Ron Henries, Vice Chair Brenda Reese and Dr. Gary Childers. Watauga County Schools Principals were recognized for Principal Appreciation Month. Pictured are Cove Creek's Kelly Walker, Parkway's Patty Buckner, Blowing Rock's Patrick Sukow, Hardin Park's Mary Smalling, Mabel's Mark Hagaman, Valle Crucis' Preston Clarke, Watauga High School's Chris Blanton, Bethel's Brian Bettis and Green Valley's Phil Norman. 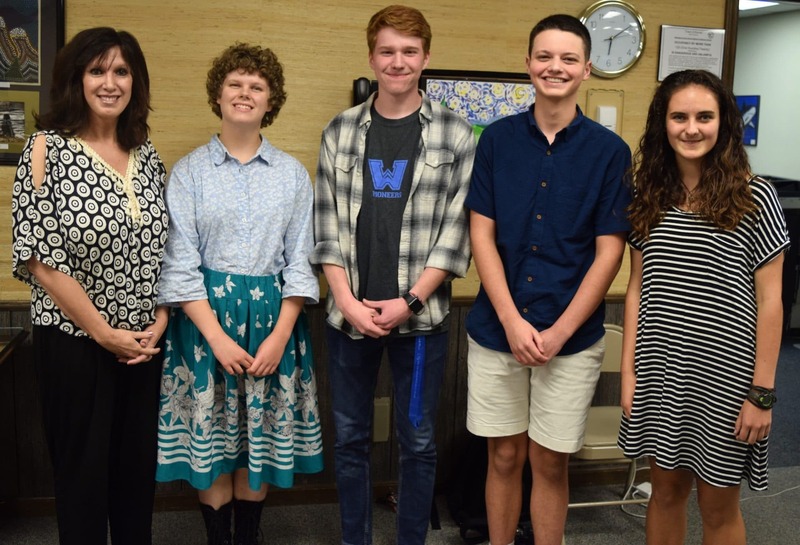 WHS Governor's School Attendees were recognized by the Board of Education. Pictured are Ketchel Carey (choral music), Peter Gough (Natural Science), Mark Cooper Hagaman (Mathematics), and Emma Tzotschew (French). Governor's School is the oldest statewide summer residential program for academically or intellectually gifted high school students in the nation. Students are nominated only by their school/school system, and the nomination process has multiple steps at the school and district levels.